Looking for the best blender for sauces? I'm here to help! Having blended over 100 sauces over the years, I've figured out which blenders live up the task and which fall flat. This guide was created to share that knowledge with you. My top 5 best blenders for sauces. What makes a good sauce blender in the first place? The two different blender options for the best sauces. A detailed analysis of all the blenders that were selected. What Makes a Good Sauce Blender? What Are The Two Different Blender Style Options? Use any of the links to check their current prices. Or check out our favorite immersion blenders, as they are a viable cheaper alternative. In my opinion, variable speed control is the most important attribute in a sauce blender. Because it gives you the ability to finely control the texture of the final product. Some sauces are more chunky while some should be a smooth puree. Some sauces are even a combination of both! I will often make a smooth sauce using my Vitamix using the highest speed setting, then add ingredients for texture on the lowest setting. This is the variable speed knob on my Vitamix that I'm raving about. As you can see, it's easy to go from low to high speeds. This is a candid cooking shot, so it looks a bit dirty -- don't judge! For example, there's this vegan cheese sauce I particularly enjoy that is a pureed blend of cashews, white beans and nutritional yeast. After I make the puree, I'll often times want to add a bit of texture to the mix. So I'll turn the blender back to it's lowest speed and throw in some bell and spicy peppers. The lowest speed will chop the peppers, but still keep them chunky enough for a nice crunch. If you want to make multi-textured sauces, variable speed control is a must. Technically speeding, any blender can "pulse" if you just switch it on and off really quickly. But doing it this way is annoying and probably not ideal for the machine. Getting a blender with a dedicated pulse function comes in handy when you really want to do a light chopping on certain ingredients. It adds another element of control to the variable speed settings for the most delicate of ingredients that you might accidentally liquefy instead of chop. You don't want to have a container or a blender that's not designed to handle heat if you're going to be making sauces. For one, you don't want harmful chemicals leeching into your blended creations. This could easily happen if your blender jar isn't resistant. This is my Vitamix lid and a non-venting Ninja lid. The space in the Vitamix lid allows steam and pressure to escape which is essential if you're making hot sauces. Secondly, you don't want your blender to explode! If it's not designed to handle heat, pressure could build up inside the blender. And guess what happens when too much pressure builds up? BOOM! For small families and single folks, a counter-top blender is the way to go. The ones selected for this list will have all of the important attributes that we touched on: heat resistance, pulsing and variable speed control. This will be the preferred blender style for most because you can do so much more than sauces. You can make things like smoothies, banana ice cream, nut butters and whatever other blended creations your heart desires. Most immersion blenders lack some of the fine controls that we've touched like variable speed. Most of them only have two preset speed settings. This immersion blender only has two speed options. It's not very good at controlling the texture of a sauce. It's also regular plastic which isn't great for hot liquids. An exception to this is the All-Clad immersion blender - which is what I put on this list. If you're going to be making large batches of sauces, it's the only way to go. Even the biggest blender containers are around 64 oz. You also won't be able to use the entire container without experiencing overflow issues. If you're feeding a large family or doing big-scale entertaining, you'll have to do multiple batches which can be annoying. With an immersion blender, you stick the blender into a sauce pot rather than the other way around. The blender will create a mini-vortex which will puree all the ingredients. The Vitamix 7500 checks all the boxes that I talked about for an awesome sauce blender. It has: variable speed control, a pulse function, and a heat resistant venting container. This is the next model up from the Vitamix that I personally use and I can tell you first-hand that it's second to none when it comes to sauces. Of course, there are other awesome that it does beyond sauces. Smoothies, nut butters, soups, dough. The list goes on and on. If you can get it cheaper -- the a reconditioned Vitamix 5300 is also worth considering. 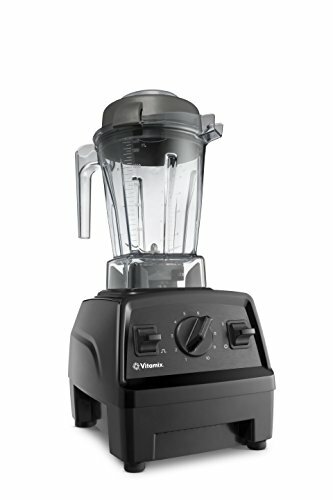 7-Year super reliable Vitamix warranty - you'll enjoy this blender for years to come. Includes the praised Vitamix tamper which ensures that no ingredients get stuck during blending. Variable speed knob is simple and easy to use. Large and wide container (low-profile) which makes it easy to fit under the counter. Jar not dishwasher safe, but easy to self-clean by blending. The Blendtec Total Blender is another blender that's perfect for sauces. Of course, it has the basics like a heat-safe container a pulse function. But beyond that, it also has a variable speed slider function (sort of like a touch screen) so that you can completely control your sauce thickness. 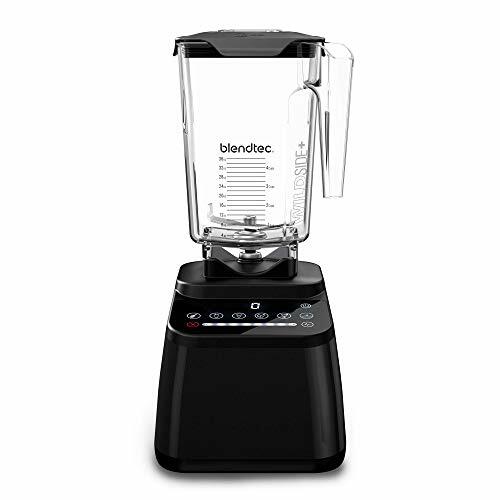 7-Year Warranty - Just like the Vitamix, Blendtecs also come with a super reliable warranty. You can sleep easy that your investment won't break one day. Blendtec jars are dishwasher safe. Pre-programmed functions and interface timer lets you blend your regular recipes without the guess work. Doesn't come with a tamper, but you can buy the Blendtec Twister Jar separately. If you need to make large batches of sauces, look no further than the All-Clad Immersion blender. This immersion blender is unique because it has all of the features necessary for a great sauce blender: Variable speeds, pulsing, and a long stainless steel shaft. This blender was actually used in a small restaurant that I used to work at for sauces and salad dressings. So you know if it's good enough for a restaurant, it's good enough for your home. Perfect for large batches of sauces or pureeing sauces you've already made in a pot. 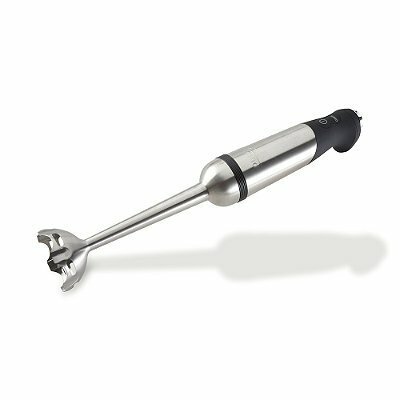 Two year warranty which is extensive for an immersion blender. Stainless steel won't leech plastics like other immersion blenders. You can buy accessories separate to make it more versatile such as a whisk and mini food chopper. Not going to be able to make smoothies like you would in a counter-top blender. Mixed reports on how reliable their warranties really are (unlike Vitamix and Blendtec which have awesome customer service). If the Vitamix 7500 is too much blender for you, then the E310 Explorian might be the perfect option. When it comes to sauces, it can do everything the 7500 can do: pulsing, speed control and handling hot liquids with ease. The only major difference is the size. It's got a slightly smaller container (48 oz compared to 64 oz). On the flip-side, this container also happens to be dishwasher safe. A feature not present in the bigger Vitamix blenders. 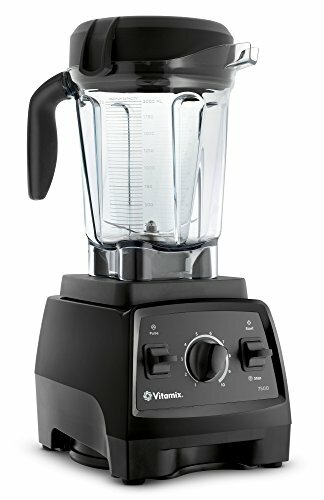 Can do everything that the bigger Vitamix blenders can, yet runs at a lower price. Not ideal for large batches of sauces. 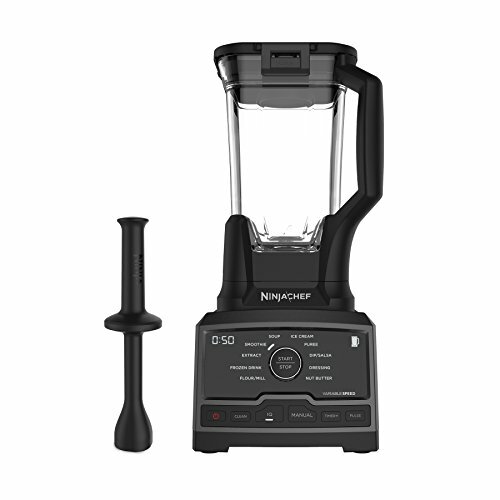 The Ninja Chef 800-series is a lower-tiered alternative to all the fancy counter-top blenders on this list. It still has all of the key attributes you need for sauces, along with some other cool stuff like pre-programmed blending cycles. Oh - and it comes with a tamper! Great for nut butters and other tough and solid blends. The major downside is that it has a short warranty. Runs less expensive than the other counter-top blenders. Has all the necessary functions for sauce-making. Can handle blending hot liquids. High-tech and sleek looking interface with pre-programmed blending cycles. Doesn't actually make hot liquids like a Vitamix or Blendtec - you can blend in the pitcher from ingredients that are already warm. By now, you probably realize that you have a ton of options when it comes to sauce blenders. All the ones on this list will get the job done, but my favorite choices are the Vitamix 7500 and the All-Clad Immersion Blender. The Vitamix has literally everything going for it and will be a blender that you have and use for a long time. But you should still go for the All-Clad if you need to make big sauce batches. It’s the only way to properly do sauces in bulk.